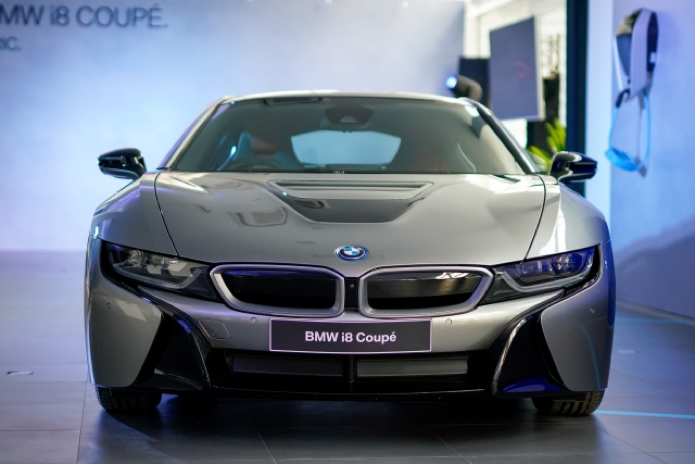 The eye-catching style of the BMW i8 coupe is straight out of a sci-fi flick. The design is a killer. This is one of the cars that instantaneously demands attention and you can’t help but stare it at for a long time. 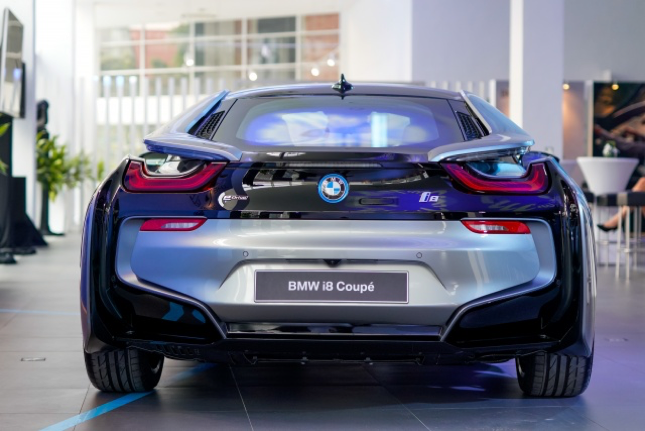 Matched with a three-cylinder 1.5 BMW TwinTurbo Power engine and an electric motor that drives the front wheels, the car makes its mark as a plug-in hybrid sport with aplomb. Visually, it IS stunning, with its air flap control system, air curtains in the front apron, sealed underbody, curved side skirts, “Stream Flow” lines of the car’s flanks, and air ducts between the rear lights and roof frame. Its combustion engine provides 228 hp and 320 Nm of torque working the rear wheels via a six-speed Steptronic transmission. The electric motor, capable of 140 hp and 250 Nm, gives power to the front wheels with a 355-volt battery. The cell capacity is increased to 34 Ah, from 20 Ah in the previous generation. This results in more electric range – 55km – which is 50% more than its progenitor. Combined power from the combustion engine and electric motor is 374hp. 0-100km/h is accomplished in 4.4 seconds. If that is not fast enough for you, we don’t know what is. This 2+2 seater has the legendary scissor doors coupled with 20-inch BMW i light-alloy wheels in radial-spoke style. 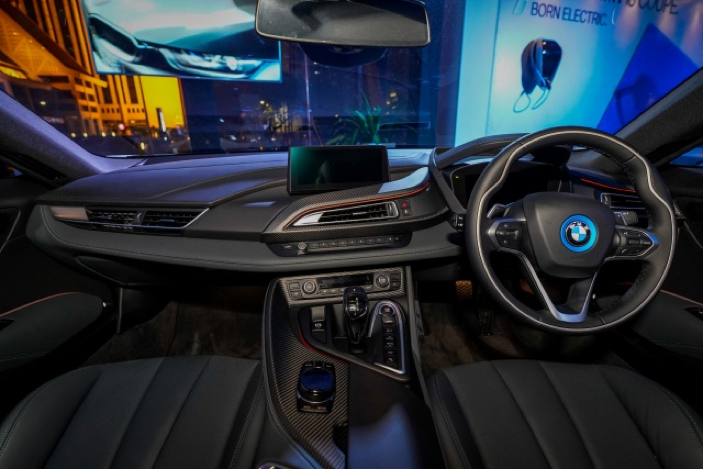 Other features include BMW head-up display, navigation system, iDrive operating system incorporating a Touch Controller on the centre console and an 8.8-inch freestanding control display screen, and BMW Connected remote app. You can opt for the Crystal White with a Frozen Grey highlight or the new BMW Individual special paintwork Donington Grey, with the interior in Black Amido or Accaro. This work of art can be had for a cool RM1,310,800 (approx. US$319,800) on-the-road without insurance. 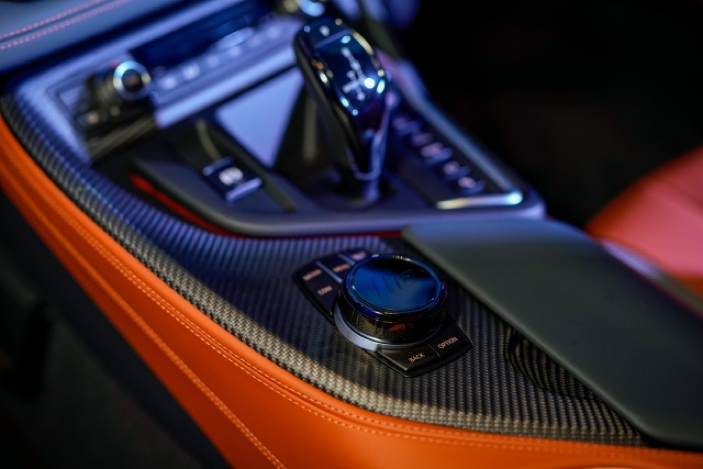 Well, if you’re going to drive and leave mouths agape, what better way than in an i8.